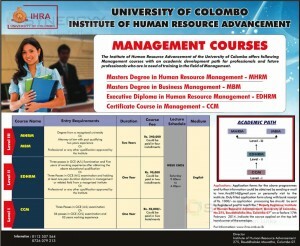 The Institute of Human Resource Advancement of the University of Colombo offers following Management courses with an academic development path for professionals and future professionals who are in need of training in the field of Management. 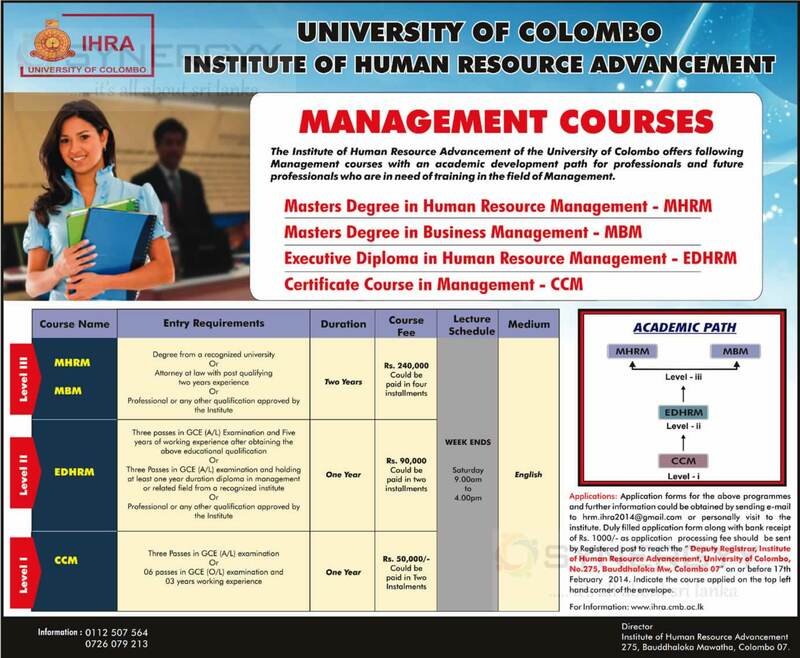 Applications: Application forms for the above programmes and further information could be obtained by sending e-mail to hrm.ihra2014@gmail.com or personally visit to the institute. Duly filled application form along with bank receipt of Rs. 1000/- as application processing fee should be sent by Registered post to reach the ” Deputy Registrar, Institute of Human Resource Advancement, University of Colombo, No.275, Bauddhaloka Mw, Colombo 07″ on or before 17th February 2014. Indicate the course applied on the top left hand corner of the envelope.